This post brought to you by Listerine. All opinions are 100% mine. Our master bathroom is a HUGE work in progress. We are nearly completely gutting it and starting over. In the mean time, all four of us are sharing our kids bathroom. We recently remodeled our kids bathroom (read about it HERE) and it is really quite nice. Except that with four people’s stuff in it, and a tiny little counter, it can get a bit crowded. So we do our best at keeping the counters clear and clean. Except for one cute new addition that I made to the bathroom recently! Well, two actually. 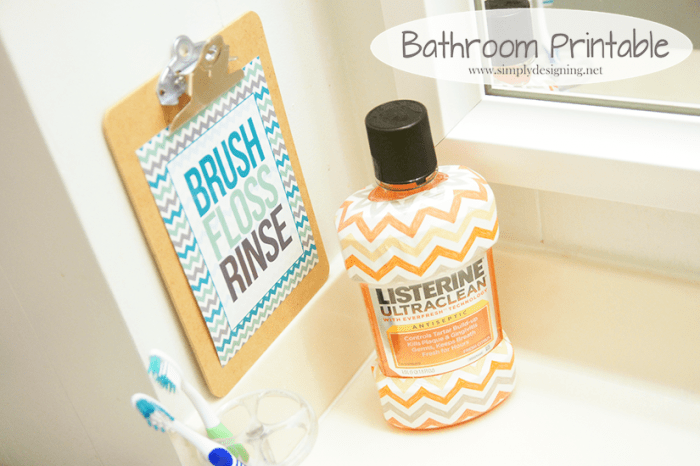 A really cute Listerine bottle (more on that in a minute) and a cute new Brush, Floss, Rinse Chevron Printable! Typically I prefer a mint flavored mouthwash but I was sent this pretty bottle of Fresh Citrus to try and I had to admit, I really do like it! 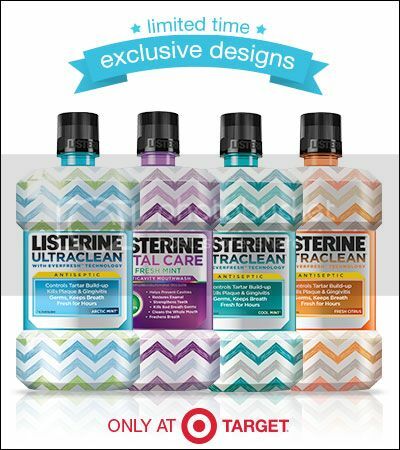 You can head to Target and pick up your own exclusive, pretty chevron bottle while supplies last. 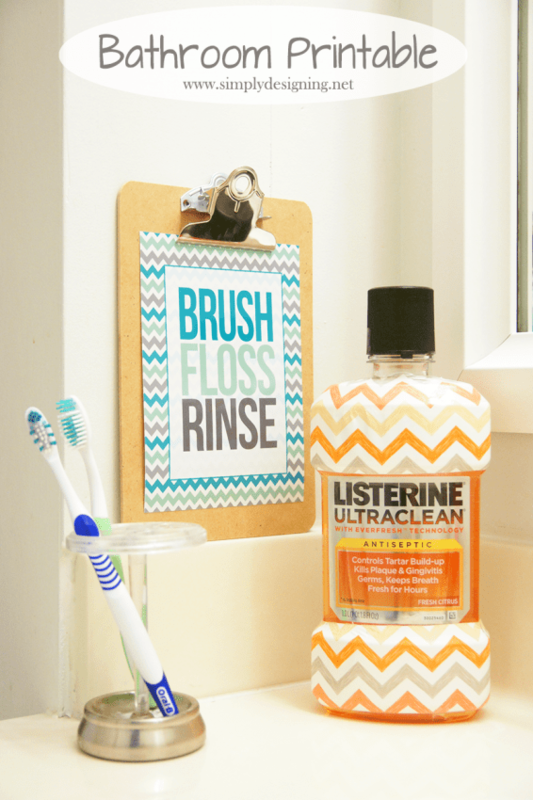 Listerine is the #1 densit recommended brand for a cleaner and healthier mouth. And even though it comes in pretty bottles, it is as strong as ever! 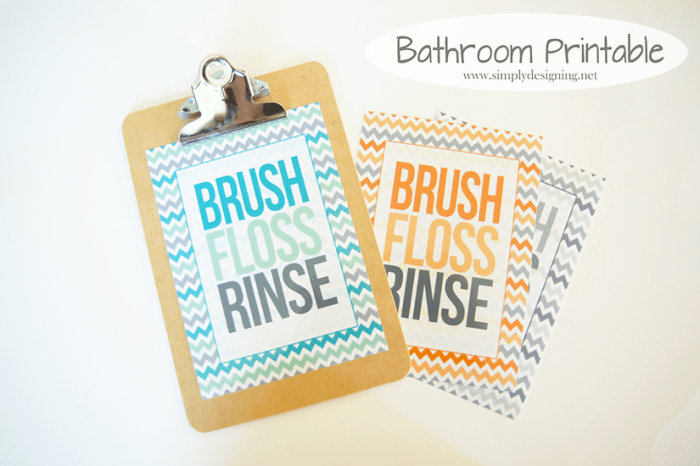 And then, be sure to download a matching Brush, Floss, Rinse Chevron Printable HERE to match! I’m a big Listerine fan. Super cute matching printables too. 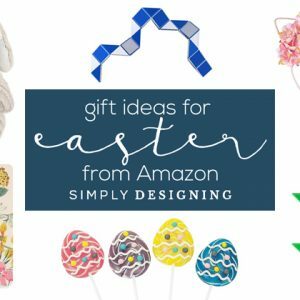 I LOVE those printables-so cute!! I love the printables you made Ashley! I’d love to use these down the road when I get up the energy to redecorate my kids bathroom. For now they’ll be going on my bathroom inspiration board on Pinterest! 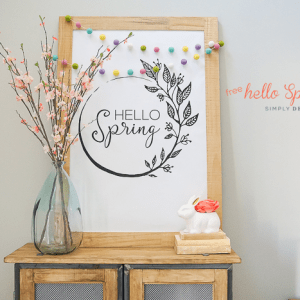 SUPER cute printable – thank you!